The rich tradition of alphabet samplers captures our imaginations, not only as historical records, but as a beautiful objects in their own right! 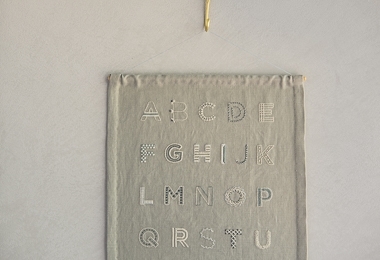 Our Alphabet Sampler Pattern + Transfers takes this tradition gives it a modern spin, honoring the past while connecting with the present. You will receive a 22-page full-color instructional booklet, as well as 6 sheets of iron-on transfers, including the Alphabet Sampler Transfer and 8 other sets of alphabets and numerals. 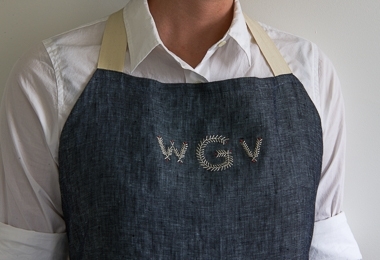 NOTE: These iron-on transfers create lines on the fabric that are not technically erasable, and we recommend trying to stitch directly over them. However, we have found that when you lightly press the transfers with a dry iron on a mid-tone natural fabric, the lines do tend to fade with time and sun exposure.